St. Joseph’s Catholic Rectory | Historic Jacksonville, Inc.
St. Joseph’s Catholic Rectory at the corner of North 4th and C streets in Jacksonville was built around 1868 for either Nathaniel Langell or John Bigham, who jointly owned the lot. 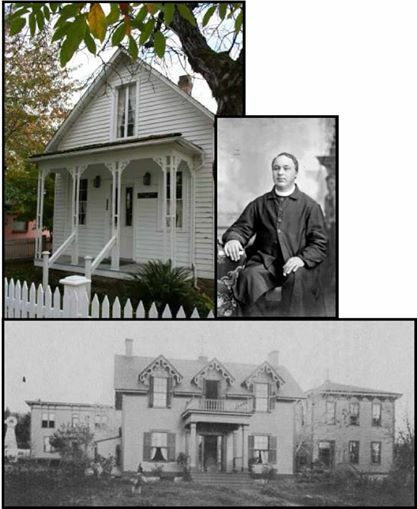 In 1875, Reverend Francis Xavier Blanchet purchased the property for his residence. It served as a Catholic boys’ school for a number of years as well. Blanchet was also the driving force behind St. Mary’s Academy, originally housed in what is now Beekman Square prior to being relocated to Medford.